I recently teamed up with Pink Martini, a wonderful store based in Canada. 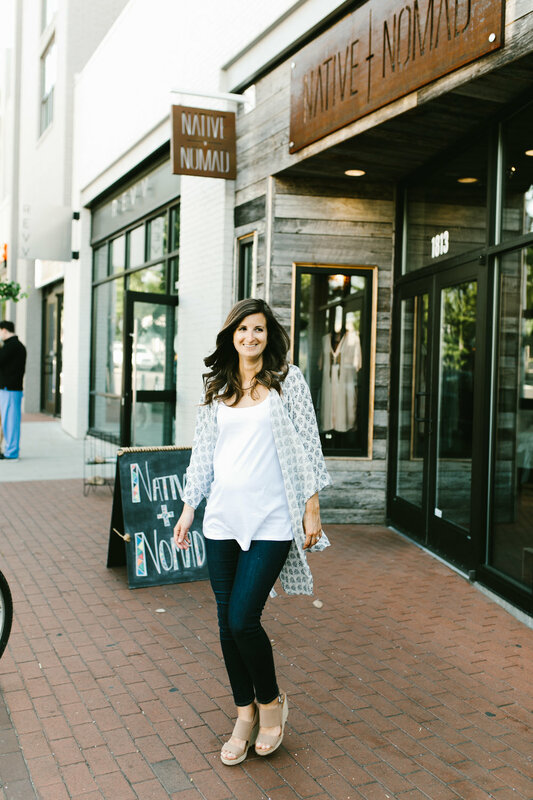 I love the simplicity and style of this boutique, but I especially love this kimono! 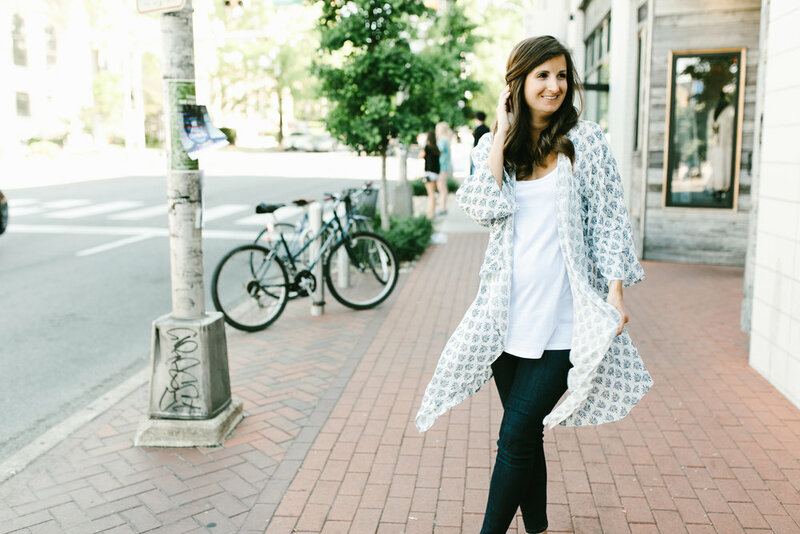 If you’re like me, you are suddenly experiencing a need for all things kimono. I feel like they add so much extra to an otherwise simple outfit. And, of course, they fit my number one rule of being comfortable. Whether you wear them to cover up at the pool or with a white tee, you will undoubtedly have yourself quite the look. While it is fun to add a cover up to your outfit, covering up how we feel about our faith is a totally different story. As Christians, we know we are supposed to share our love for Jesus wherever we go. But sometimes it is hard to know just how to uncover that love in our everyday conversations. When I am talking with a friend, co-worker, or someone I’ve just met, I sometimes feel the urge to steer the conversation in a faith-based direction. Sometimes that means to turn the conversation towards Him, while other times it means to tell the person I will pray for them. But I often hesitate because I’m worried about how they will think of me. Obviously, that thought is ridiculous and should be the least of my worries when it comes to spreading the Word. But, at the same time, I don’t want to be “that” Christian. Nevertheless, something I’ve learned throughout the years is that it is okay to throw in a, “I’m praying for you,” when the time feels right. It is not like you have to give the whole “Jesus saves” speech in order to show your faith. In the right context, offering a simple word of encouragement or understanding can impact someone much more than merely reciting a passage from the Bible. In fact, sometimes you don’t have to say anything at all. Just being there for the person and taking the time to listen can make all the difference. It’s through your actions AND words that you can uncover your faith in Him. Do not be afraid to share what is on your heart. Do not be afraid to share your prayers. Indeed, it is your words and love for others that provide the greatest potential for displaying Christ’s love.